Talking robots! My word, has science gone too far? MWC Years ago, Sony was one of the first of the old tier-one electronics giants to get fully behind Android. With its multimedia prowess, its amazing R&D pipeline and its refined design aesthetic, Sony should have ruled the roost. But it was outfought by its vulgar South Korean rival Samsung, for that's what the public wanted. Well, Sony still makes smartphones, officially, but it has downplayed its new handset at Mobile World Congress this week in Barcelona in favor of promoting “concept lab” experiments. We'll get onto those in a bit. If you're curious about the phone, it's the Xperia XZ Premium, which, you know what, has the feel of a showcase or concept lab experiment about it anyway. 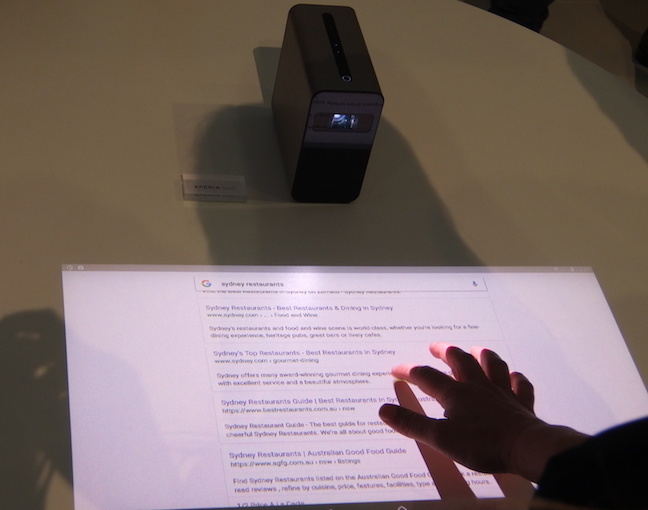 The two headline-grabbing features are super slow motion photography and a 4K display. Sony’s Motion Eye camera can take tiny bursts of very, very slow motion 960FPS video. The burst captures about 0.18 seconds of video at this frame rate, and when played back at 30FPS, the clip is just under six seconds long. Timing the capture at just the precious moment – an arrow hitting a balloon filled with water, say – will be pretty difficult. But it does bring effects previously restricted to expensive high-speed photography to the phone. The 960FPS video is thanks to the beefier Snapdragon 835, the new high-end flagship ARM-compatible system-on-chip from Qualcomm. You can find all the specs here – it's not due to arrive until the second quarter of 2017. It also has a ludicrous 4K display, which has a kind of grim inevitability about it: the only question was whether it would be LG or Sony that would come up with such a thing. Sony wins the prize with a 3,840 by 2,160 pixel LCD packed into a 5.5 inch diagonal. To save you the maths, that's 801 pixels per inch. There’s nothing new in the design, which is unchanged from the Xperia line last year, and the year before that, and even the year before that. No exact shipping dates, nor any pricing, was given. 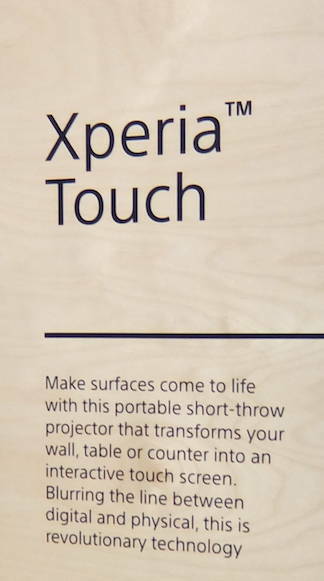 But perhaps the point of the Xperia XZ Premium is not to be bought, but to put Sony’s Exmor camera sensor in the shop window, so Sony’s components division gets bought. Anyway, enough of phones. Now some other kind of phones. Over in the “concept lab”, Sony showed off a pair of “ears free” earphones that... don’t go in your ear. 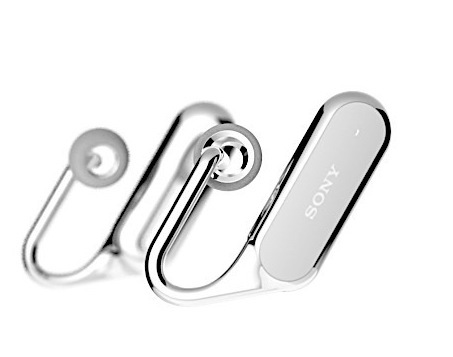 The Xperia Ear rests outside the ear, and use a spatial conductor to pipe in the audio. This so you can continue to hear the real world. But isn’t that why people buy earphones, to drown out the real world? Never mind. 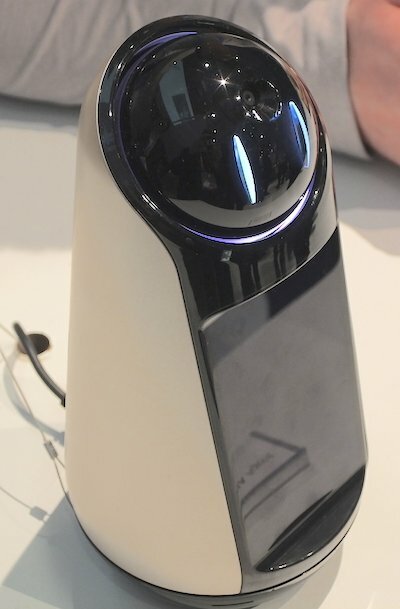 The idea is that, because you can hear everything as normal with them on, you never taken them off during the day, so you spend more time with Sony's virtual assistant bot, Xperia Agent. That's Sony's equivalent of Amazon's Alexa and Apple's Siri, that can always be at your command. And why would you want that when your phone, and its own assistant, is always handy, or you have an Alexa at home? Ask Sony. Unlike the other "concepts", this is going to graduate to become a real product, we're told, arriving in Europe this spring, a mere snip at, er, €1,499 retail price. Last year Sony showed off its own very Sony-ish take on Amazon’s Alexa. It crossbred an Alexa with a Honda Asimo robot, and it’s an Alexa that does cute: bowing its “head” shyly and blinking its big blue eyes at you. A year on, however, there’s no sign of it being more than a "concept." Which is just as well.